I’m sure I’m not the only Coeliac who has found it difficult to find a decent gluten free BBQ sauce. 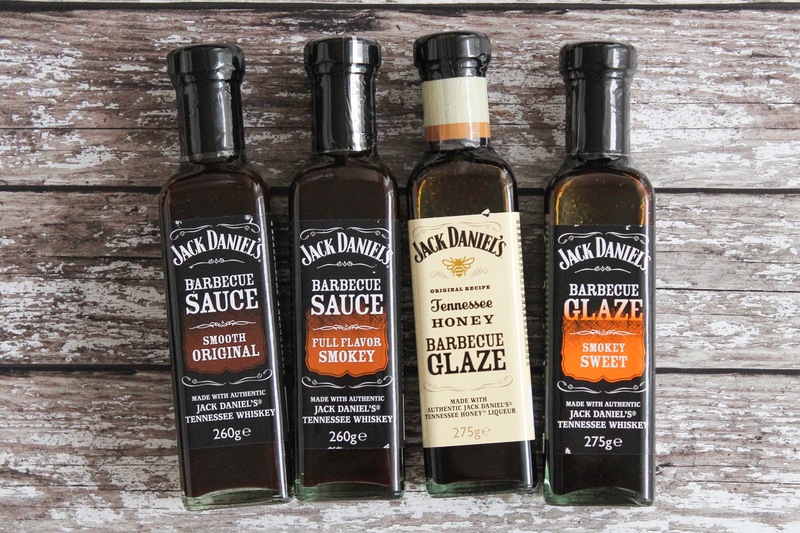 Not only do Jack Daniels make my favourite whisky but they’re now have a range of tasty, flavoursome sauces and glazes that actually contain their whisky! 2 of which are gluten free and suitable for coeliacs (smooth original and full flavour smokey)! So how could I pass up the chance to create a recipe with one of these delicious sauces? 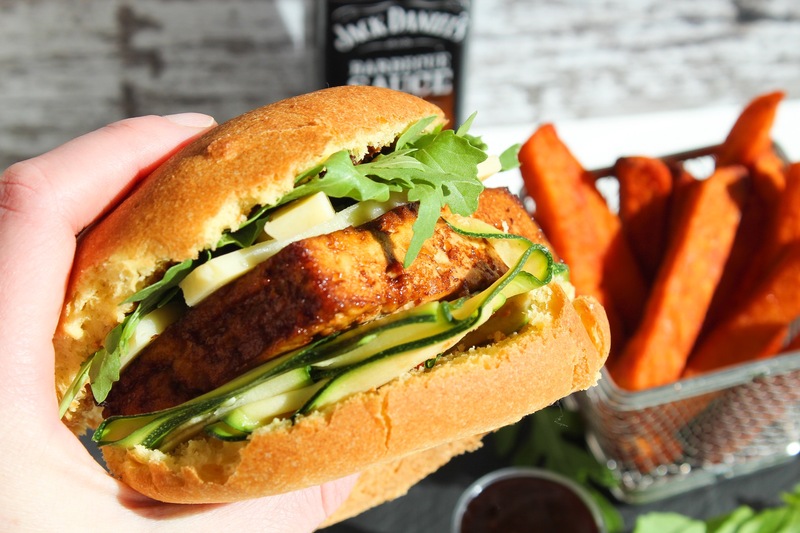 i opted for the ‘full flavour smokey’ sauce which I used to create a marinate for these delicious tofu steaks, and it definitely lives up to its name. I obviously had to add some extra sauce to the burger bun and have it as a dip for my sweet potato fries! 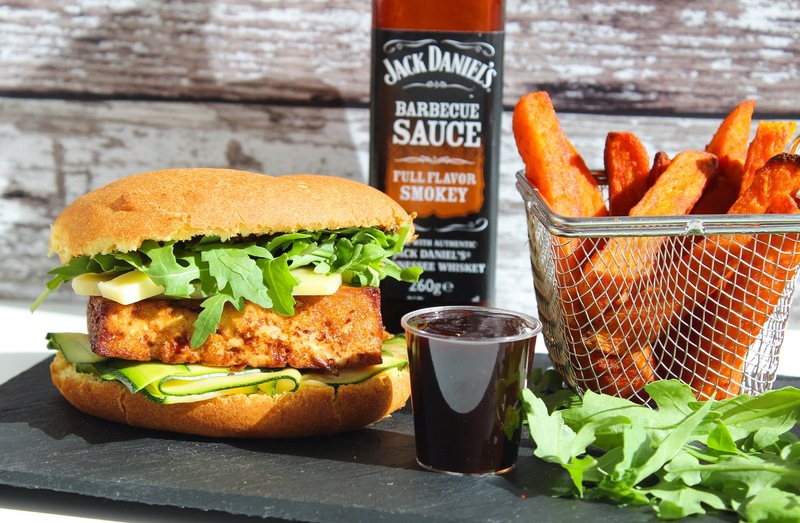 These sauces are now available nationwide in Asda, Sainsbury’s, Waitrose and Tesco. They are not low FODMAP but luckily eating it didn’t trigger my IBS. I couldn’t recommend them more! 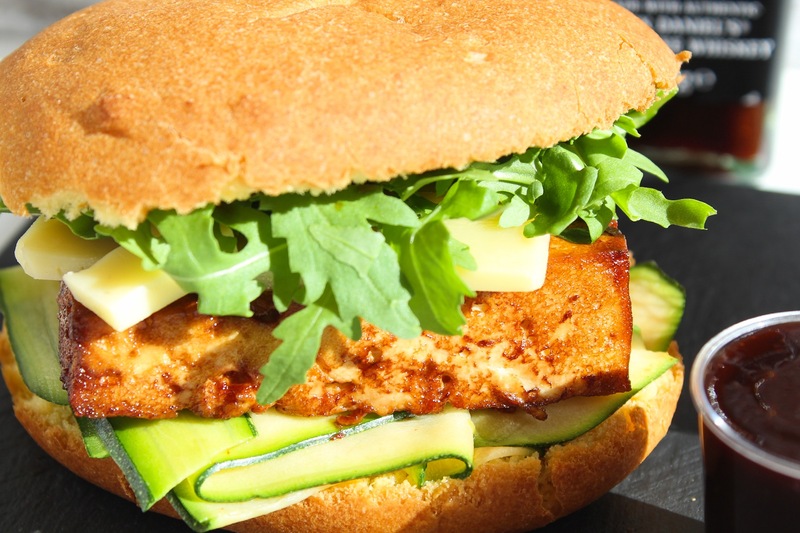 serve the tofu burgers with your choice of side, I chose salad and sweet potato fries because what is a burger without chips!